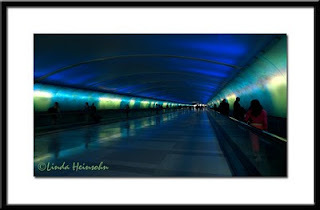 On our trip home from Indiana, we connected through Detroit International Airport. While not as jazzy as the Neon Light Tunnel in Chicago O'Hare Airport, the changing light scene demanded a few minutes to make a composition. Lucky I had my camera with me!